I did the BBC quiz to find out Will a Robot Take Your Job? It was good to see that teaching won’t be coded out of existence any time soon. That was reassuring given the competition already there from non teachers who are moving into senior school education. I went to the Central Queensland University Career Advisors Day where we were told about the Start Uni Now program that allows students in years 10 – 12 to undertake a bachelor degree subject. This week I discovered that Edith Cowan University is offering Short Courses for Credit in some bachelor degrees. When I was at the recent Murdoch University Career Advisors day there were 400 senior school students doing a WACE economics enhancement program. They were participating in the Murdoch Student Workshop program for secondary school students, starting at Year 8. MOOCs are everywhere. They are now being made for primary school students. Adelaide University is delivering MOOCs for Foundation – Year 6 in Digital Technologies WITH teaching resources. With all of the inherent systemic barriers to change, including existing expectations, it is difficult for teachers to accommodate these resources into their pedagogy. The Preparing Young People for the Future of Work report criticises VETiS heralding changes to that system as we know it. 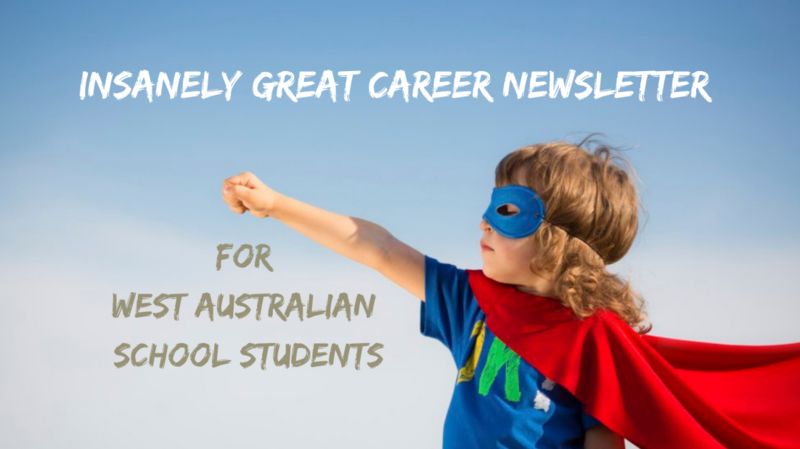 I have started an Opportunities to Grow section in my monthly careers newsletter for WA high schools in an attempt to help teachers, students and their families to keep up with all of the emerging opportunities. Many of these opportunities required teachers to coordinate, administer and manage OH&S, not teach. It doesn’t take Sherlock Holmes to see the problem. Teachers need to adapt to the world that is barging into their patch. Traditional expectations, traditional systems and OH&S rules that ensure students are safe are are endangering the careers of teachers as they struggle to maintain relevance into the future. Categories: Career Teachers Nail It | Tags: Career Teachers Nail It, Change, High School, Teaching | Permalink. First of all I want to say great blog! I had a quick question which I’d like to ask if you don’t mind. I was interested to find out how you center yourself and clear your head before writing. I have had trouble clearing my thoughts in getting my ideas out there. I truly do take pleasure in writing however it just seems like the first 10 to 15 minutes are generally lost simply just trying to figure out how to begin. Any recommendations or hints? Thank you! I don’t get things clear in my head! I start off with an idea… like the most recent one was year 12s are starting to panic about what to do next year. I often start off with an emotional response.. Poor Year 12s. Must be awful etc etc… which is a splat on the page of no use to anyone! As I get more words down I get past the emotion to some substance and kill the first paragraph. The MOOC you linked to is for F-6 teachers, not students. It is a way for teachers to upskill now that they are required to teach and grade the Digital Technologies curriculum.